As a tenant your rent entitles you to certain rights, so before you sign the tenancy agreement, make sure everything is as right as it can be. Checking the inventory and general condition of the property is a top priority for flagging up any issues before they become your responsibility. 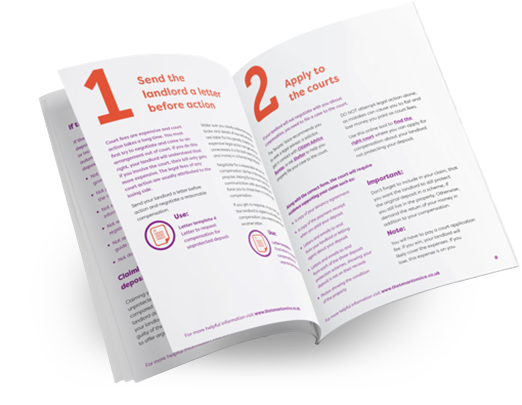 TTV knows how expensive and exhausting it can be to move, so come the big day, use this checklist to ensure you and the property are “rent-ready”. It is quite easy to overlook some things in the excitement and anticipation of getting a new place to live. Take the time to inspect your new home so that you are entirely satisfied with the condition of the property you will be paying rent for. 1. The inventory – Your landlord or letting agent should provide you with an inventory at the start of your tenancy. Do a walk-through and compare each description on the document thoroughly with the reality so that it is accurate and unbiased. Check everything from light bulbs, to the state of the carpets, to the condition of blinds and the washing machine. This is your chance to flag up any issues so that you are not responsible for repairing or replacing them at the end of your tenancy. 2. Mould and Damp – Damp is a serious threat to health and one of the most common causes of tenant complaints. It is extremely important that you raise any problems before moving in. If you are concerned about mould some particular things to consider are: effecting heating, affordability of electrical appliances if needed (such as heater or humidifier), extractor fans over the stove and in the bathroom, signs of leaking near sinks, toilet, taps, adequate window coverings. Request that damp and mould issues be resolved before you move in. Any agreement with your landlord about necessary repairs should be put in writing on the tenancy agreement and signed by both parties. 3. Test smoke alarms – It is your landlord’s responsibility to ensure that fire safety is in place, however replacing batteries can easily be overlooked. Test that smoke alarms work before moving in because they become your responsibility after you move in. 4. Test all light bulbs – You are entitled to expect everything to be in good working order when you enter a tenancy agreement and there is no reason why you should foot the bill for new light bulbs if some are not working when you settle down to watch TV that first night. 5. Test all curtain rods/blinds – Another easy part of the home to neglect is the curtains and blinds. Not only are they important for privacy they will help to insulate your home in the winter months. It is in your interest to check they are effective and in good working order – amend the inventory if there is any damage or request repairs or replacement. 6. Test all taps – A dripping tap becomes the tenant’s responsibility after moving in so be sure all washers are working and the taps are working effectively. If they are at all loose, stiff or leaking, write details on the inventory before signing so they can be fixed promptly. 7. Test all locks – Locks of course are an essential security feature so they need to be given priority attention when you move in. You should have no trouble either locking or opening the doors and windows. For peace of mind, ask your landlord or letting agent to put in writing when the locks were last changed. 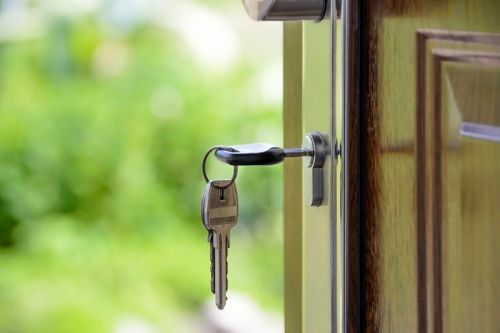 If it has been a long time consider requesting a new set of locks be installed; in the unfortunate event of a burglary, insurance companies are unlikely to pay out if there are no signs of forced entry, but be mindful this is entirely at the discretion of the landlord. For more information on getting repairs done, or if you do not receive an inventory when you check in, see our related articles for more information. Get 10% Off Removals and Man and Van Services by Fantastic Services ! Get help with packing, disassembling and moving your stuff in your new rented property. Now at a discount !